Cmdr. 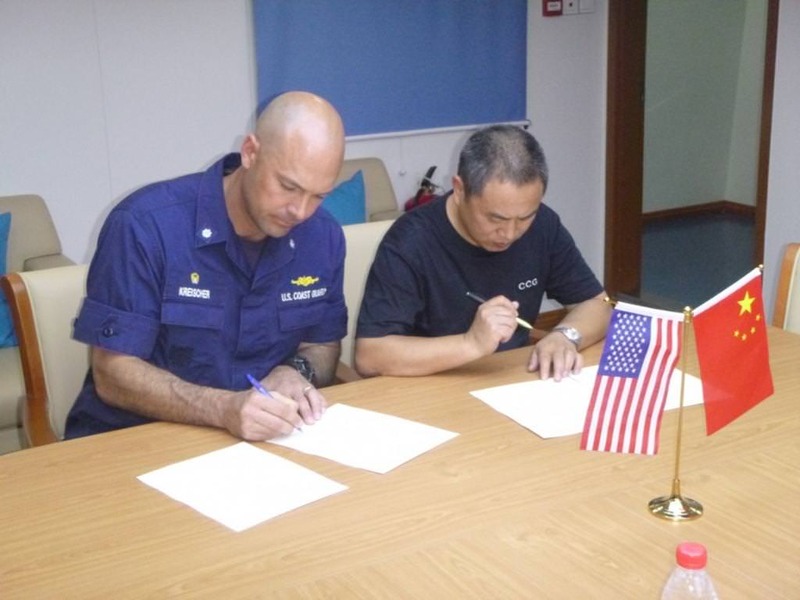 Jon Kreischer (left), commanding officer of the USCGC Alex Haley (WMEC 39), signs over custody of the fishing vessel Run Da to the commanding officer of People's Republic of China Coast Guard Patrol Vessel 2301 in international waters in the Sea of Japan, June 21, 2018. 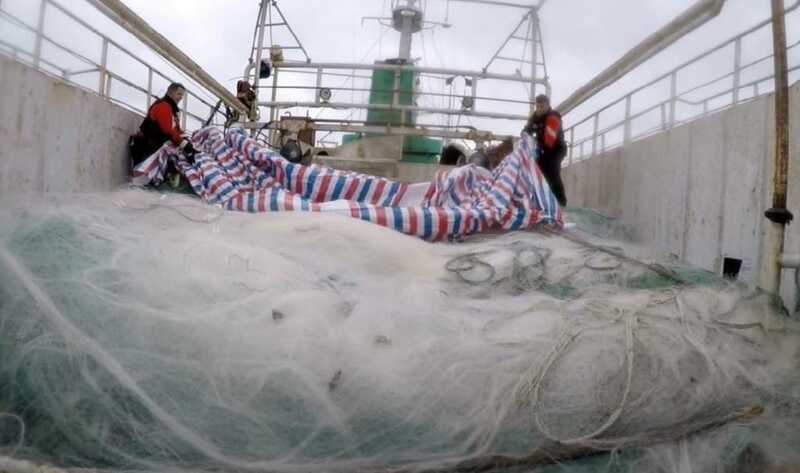 The Alex Haley and PRC Coast Guard crews discovered an illegal drift net banned by international convention during a joint boarding on the vessel. U.S. Coast Guard photo. PanAsian, davidau, N00813 and 1 other person like this. A USCGC Alex Haley (WMEC 39) boarding team boards the fishing vessel Run Da after the vessel was suspected of illegal high seas drift net fishing in the North Pacific Ocean, 860 miles east of Hokkaido, Japan, June 16, 2018. The boarding team discovered a reported 5.6-mile net on the fantail with supporting gear, 80 tons of chum salmon and one ton of squid on board. U.S. Coast Guard photo. USCGC Alex Haley (WMEC 39) and People's Republic of China Coast Guard crew members uncover an approximately 5.6-mile drift net onboard the fishing vessel Run Da during a joint boarding of the vessel in the North Pacific Ocean, 860 miles east of Hokkaido, Japan, June 16, 2018.The Alex Haley crew transferred custody of the Run Da to the PRC Coast Guard for prosecution. U.S. Coast Guard photo. The USCGC Alex Haley (WMEC 39) and crew detain the fishing vessel Run Da after it was suspected of high seas drift net fishing in the North Pacific Ocean, 860 miles east of Hokkaido, Japan, June 16, 2018. The Alex Haley crew transferred custody of the Run Da and its crew to the People’s Republic of China Coast Guard. U.S. Coast Guard photo. The crew of the USCGC Alex Haley (WMEC 39) transfers custody of the detained fishing vessel Run Da to a People's Republic of China Coast Guard patrol vessel in the Sea of Japan, June 21, 2018. 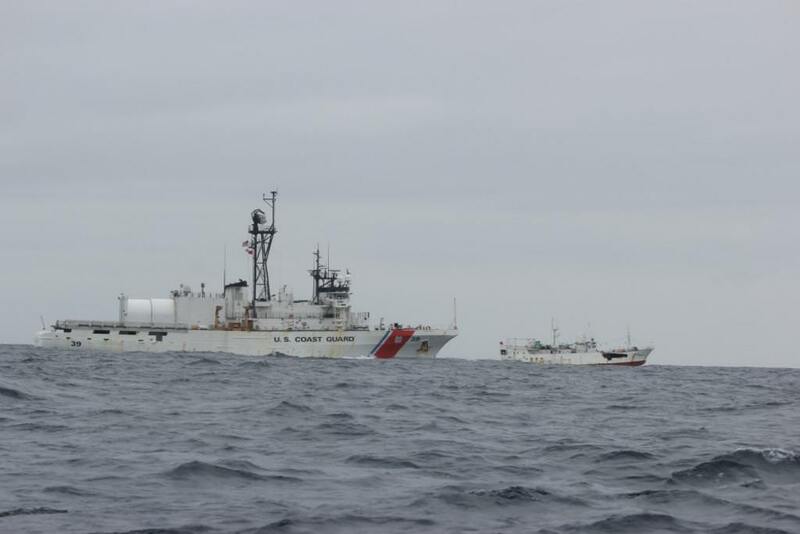 The Alex Haley and PRC Coast Guard crews detained the Run Da suspected of illegal high seas drift net fishing. U.S. Coast Guard photo. 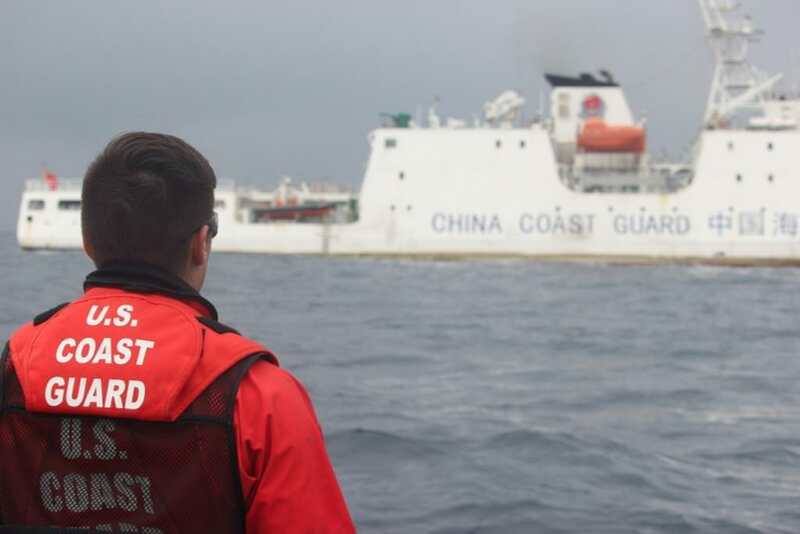 A crew member of the USCGC Alex Haley (WMEC 39) stands lookout during a transfer of custody of the detained fishing vessel Run Da with the People's Republic of China Coast Guard in the Sea of Japan, June 21, 2018. 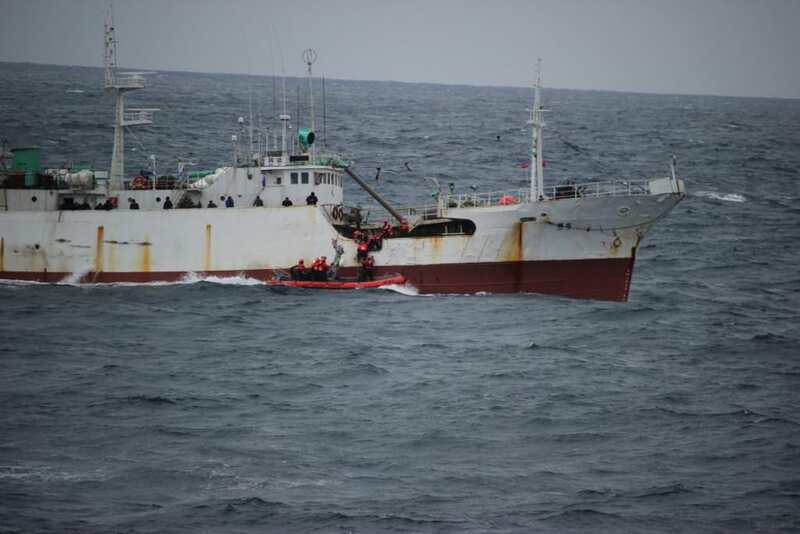 The Alex Haley and PRC Coast Guard crews detained the Run Da suspected of illegal high seas drift net fishing. U.S. Coast Guard photo. I have a question, what is the rule of jurisdiction of fishery in international waters? Coast guard of any countries can conduct investigation and arrest? In this case, not only USCG and PRC CG, but also Japan or Australia or anyone, right? 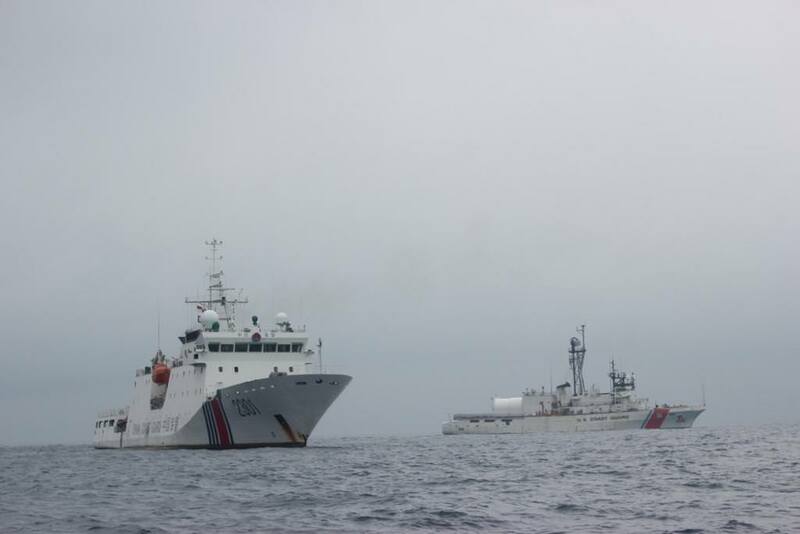 The congress put the China Coast Guard to be part of the People's Armed Police (PAP). The cost guard was merged among many civilian agencies such as fishery administration, custom agency, oceanic bureau and PAP boarder troops. davidau and N00813 like this. I know the US Coast Guard & China's Coast Guard have powers of arrest on the high seas. I'm sure other Coast Guards do also. Thanks for your answer, but the link you provided pointed to your PC. You should have used upload/attachment than a link in this case. Anyways, I have found another file which may be the one you tried to provide. Authorizations for maritime law enforcement operations by ICRC. From this texts, it seems there is no existing law granting such activities in international water UNLESS there is an agreement between US and China beforehand granting each other's CG to board the ship (flag) of the other party (each other). Such pre-existent legal instrument is a prerequisite, not by default. N00813 and bd popeye like this. The may also deploy worldwide as the USCG does to support their regular navy, in local conflicts/crises/relief ops. 860 miles is too far for a coast guard vessel to operate. That's simply a naval vessel to me! The 12000-ton Chinese Coast Guard cutter 2901 at night. mys_721tx, Jeff Head, PanAsian and 7 others like this.